2 Beds 2 Baths 1,087 Sq. ft.
Hidden gem in secluded Timber Lake community. With relaxing lake view, this 2 bedroom 2 baths 1st floor unit has been fully renovated. 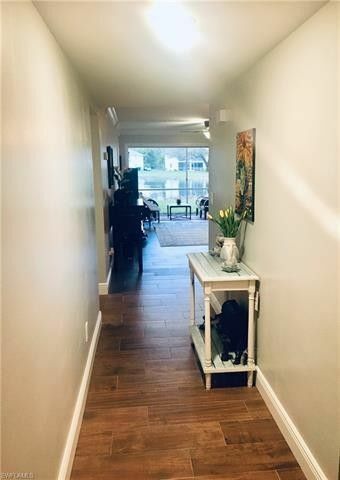 Renovations includes: new kitchen cabinets with marble counter, top of the line appliances, tile flooring through main living and wet areas, complete guest and master bath renovation. Furthermore, there is crown and 5 base throughout the entire unit, In-home Laundry with additional cabinetry for storage, and new AC system and water heater. New buyer will enjoy a repair free home.